December is the perfect time for a get-together. And what better way to ring in the holiday season than with a Christmas table quiz? Some of Dublin’s most prominent tech meet-up groups decided to do just this and get together this month for a festive meeting of minds with all proceeds being donated to the homeless charity, the Simon Community. 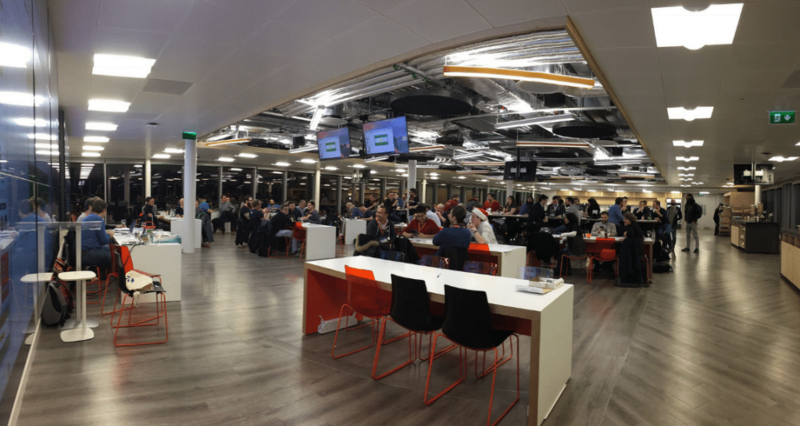 All of the tech community were welcome to attend the event which was organised by members of the meet-up groups: Ruby Ireland, PyLadies, Coding Grace, Functional Kats and Elm Dublin. 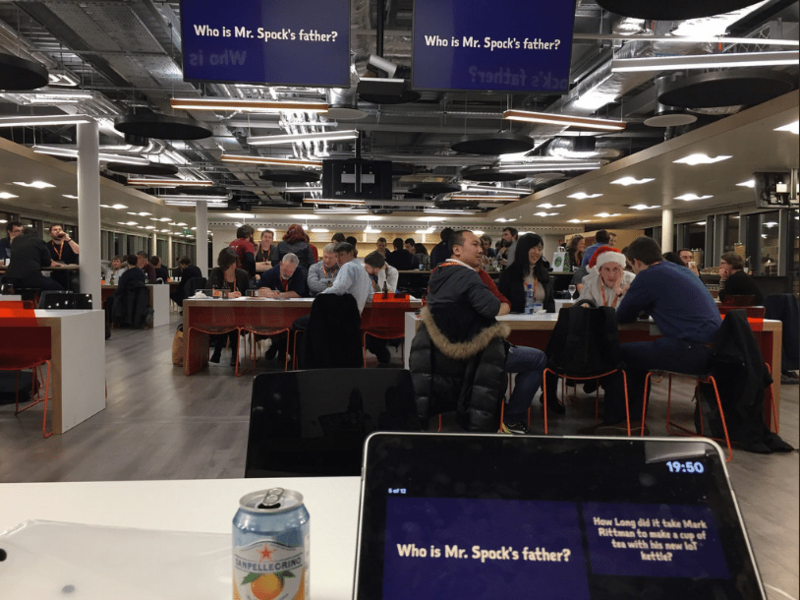 The Christmas table quiz was hosted in Workday’s Dublin offices, who generously provided drinks and warm festive mince pies. “We gave Workday two weeks’ notice and they managed to clear out the cafeteria and everything was all set up for us so that was amazing,” Vicky notes. There were also lots of fantastic prizes up for grabs from the event’s sponsors Python Ireland (who also kept hunger at bay with delicious pizza), Demonware, Rockall Technologies, JetBrains and Udemy. And it didn’t end when the quiz was over. “It was a lot of fun and a lot of laughs. A few of us ended up going to the Generator Bar afterwards and there was another table quiz happening there!” Vicky laughs. Head over to our events page to find your nearest tech event.